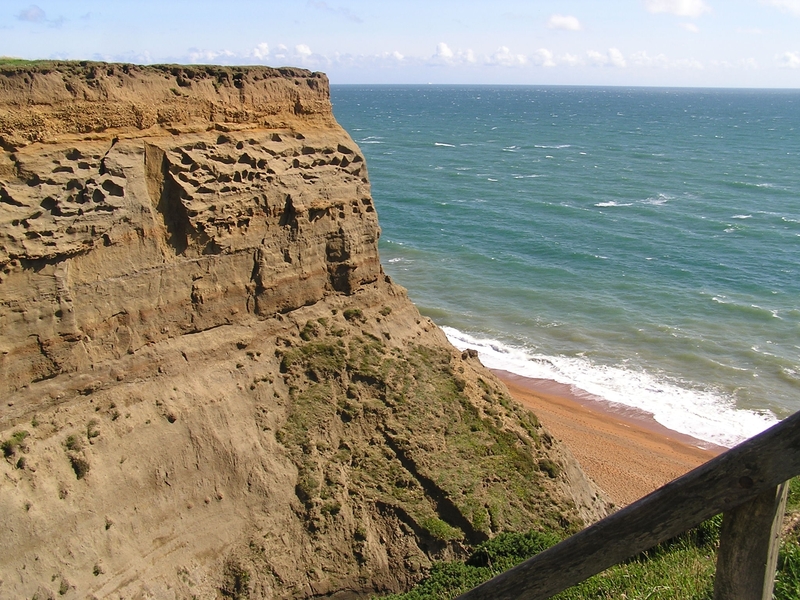 Whale Chine is a spectacular ravine in the cliffs on the south side of the Isle of Wight. 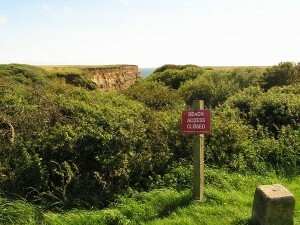 Other examples of such clefts – the word ‘chine’ is peculiar to the dialect of Dorset and the Island – are the better known Blackgang and Shanklin Chines. 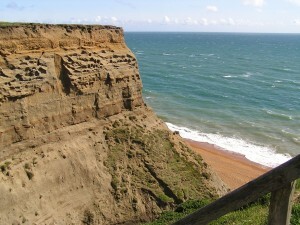 Whale Chine is reached from a car park on the Military Road, which is notable for its grand vistas. Some of the greatest wild swimming of my boyhood and youth was to be had there. To descend to the beach, by means of a steep, rickety wooden staircase and narrow path, was an adventure in itself, for the chine is 140 feet deep. Usually weighed down by a picnic basket, one was overpowered by the grandeur and timelessness of one’s surroundings. The cliffs here abound with the fossilised remains of prehistoric oysters, ammonites and lobsters. The stony beach is steeply shelved, so swimmers at high tide are soon out of their depth. The swell is considerable. So remote and challenging an environment was appealing to naturists, whose presence occasioned much sniggering among us youngsters – all those corpulent bank managers – though swimming naked is, of course, the wildest swimming of all, and they added to the exoticism of the place. 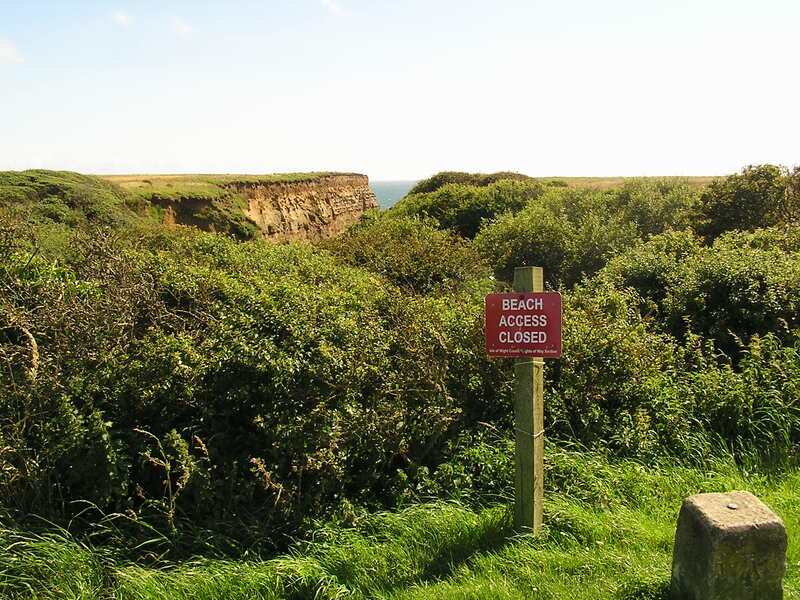 Since 2005, the steps having fallen into disrepair, the beach at Whale Chine has been completely inaccessible from the landward side. It seems the only way of getting there is by sea. The picture at the top was taken the other day from the head of the wooden staircase and evokes many memories. Whale Chine appears not to have been named for the marine mammal, as I always supposed, but for the Wavell family of nearby Atherfield Manor, who farmed the land up to the edge of the chine. The family left their mark on the place during less than a century of occupation. They are said to have bought the estate in 1557 (from Sir Thomas Trenchard) and to have relinquished it in 1636 (A.D. Mills, The Place-names of the Isle of Wight). 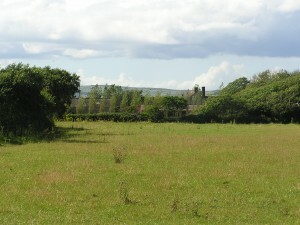 The photograph on the left is a distant view of the manor-house, less than half a mile inland – a solid, L-shaped building of stone. From a clearer picture in C.W.R. Winter, The Manor Houses of the Isle of Wight (Wimborne, 1987, p.186), I deduce that it also dates from the time of the Wavells. These Wavells are a very old Island family. They are recorded there since 1300, when a Roger Wavill witnessed a charter at Afton, near Freshwater. A century later, Adam Wavill was witness to a grant of land at the same place. Their farming descendants had no airs about them and are listed in 1606 among the yeomen of the Island. 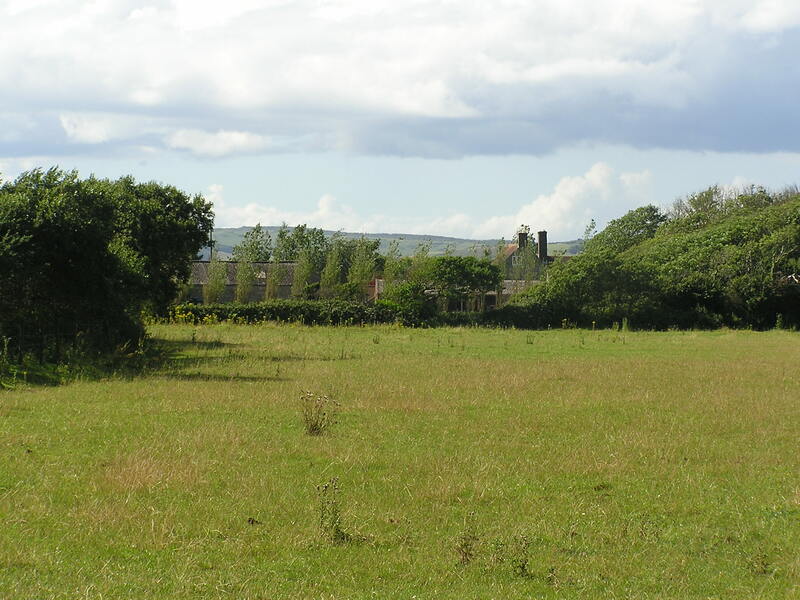 Thomas Wavell, who sold Atherfield in 1636, had settled at Limerston, elsewhere in the parish of Brighstone. He served during the Civil War as a major in the Royalist army, but another Wavell was for Parliament, and sat on the ‘Committee of Safety’ that it imposed on the Island. The leading Royalist there, Sir John Oglander, was to deplore the arbitrary government of ‘Ringwood of Newport, the pedlar, Maynard the apothecary, Matthews the baker, Wavell and Legge, farmers’, who ‘overruled Deputy Lieutenants and Justices of the Peace’. He felt this to be contrary to the natural order of things. 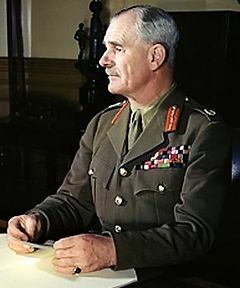 Little did Sir John know that the despised Farmer Wavell was assuredly the male-line descendant of a knightly Norman immigrant from the time of the Conquest, which was the proudest boast of his own family (C. Aspinall-Oglander, Nunwell Symphony (London, 1945), pp.11-12, 40, 104). 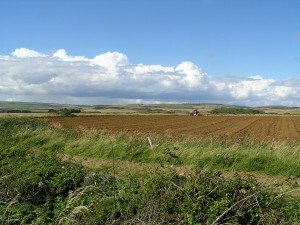 Sir John’s descent was from the lord of Orglandes, near Valognes; Wavell’s was, almost certainly, from the lord of Vauville, also on the Cherbourg peninsula. In the late eleventh century, William de Vauville or ‘Wavilla’ is mentioned in charters in both Normandy and England. 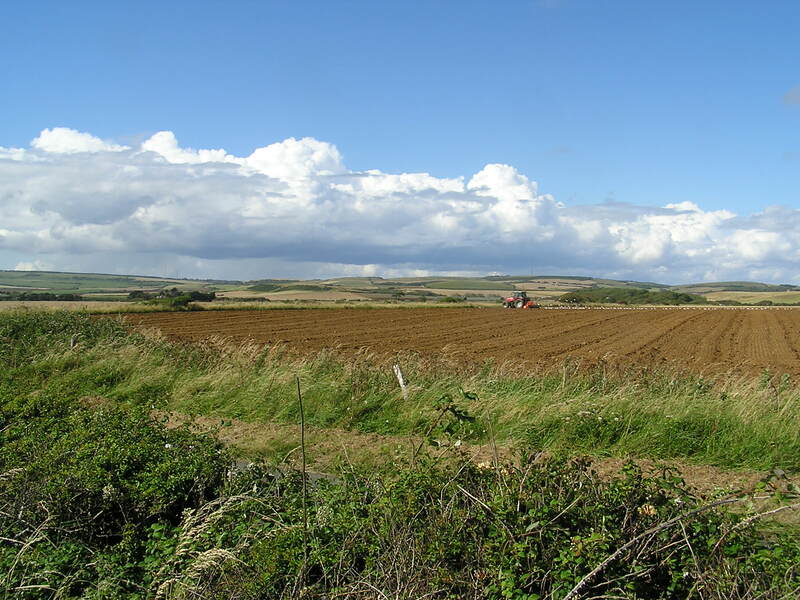 Subsequent generations took root in Sussex, Bedfordshire, Somerset and, it seems, the Isle of Wight. From Whale Chine they would unwittingly have looked across the Channel towards their ancestral home, forgetful of their origins and of their former knightly rank, even more than the Durbeyfields of Hardy’s novel. Lord Wavell’s son, the second earl, a Major in the Black Watch, was killed leading a patrol against the Mau-Mau, the last of his line. However, branches of this remarkable and illustrious family continue to flourish on the Island. I note that there are nine Wavells listed in the current Isle of Wight telephone directory.